Think the elliptical is only for newbies? Think again, here's how to get a good sweat going with the elliptical. 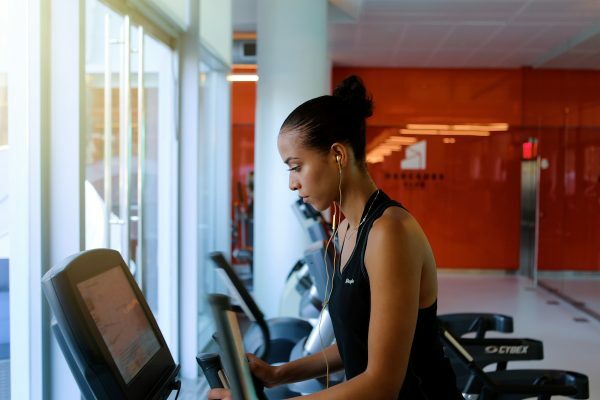 One of the questions we’re often asked by Aaptiv newbies is how to start cardio training, especially if you’re just starting to make wellness a priority. Our answer? The elliptical. This gym mainstay may look intimidating, but they’re a great way to ease into cardio workouts. And customizable resistance and super low-impact moves make elliptical classes gentle on the body and joints. 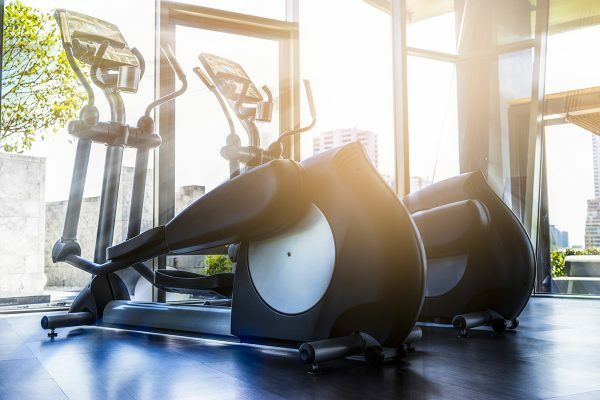 But ellipticals are also awesome for runners looking to shake up their routine, and can be a major upper and lower body challenge since the workouts attack all of your muscles. 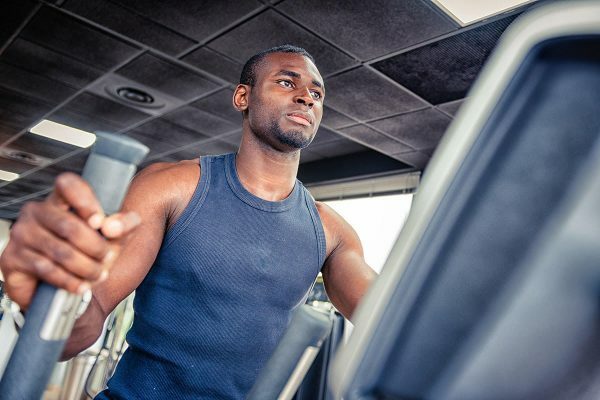 Depending on the incline and resistance levels you set, ellipticals allow you to target specific muscle groups. So, if you’re pedaling forward, you’re challenging your hamstrings, glutes, and calves; switch things up and head backwards to get your shins and quads in gear. Our trainers also recommend movable arms over the stationary ones. You’re getting your biceps, shoulders, and chest in gear, while also amping up your heart-rate. Toss that magazine you’ve propped on the monitor because you’ll be working too hard for that! Stand up nice and tall, no slouching, with your shoulders back & down. Breathe in through your nose and out through your mouth. Then, I always instruct clients not to use the handrails: you’re not getting the most from your workout that way. I always start off on an easy level to get the pace up to a moderate to quick jog. The goal is to maintain that same pace (give or take) the whole time, even on heavy resistances. It will challenge you! You will NOT be able to stay at that same pace. But it gives you a goal to push yourself when your pace does decrease. Ready to give it a go? Try some elliptical workouts in the Aaptiv app. You can find one to engage and power up everyone from every level, beginners to experts! We're decoding all your elliptical buttons so you can get a better workout. Which Elliptical Machine Should I Buy? Ready to commit to buying an elliptical machine? Here's a cheat sheet on the most popular models.